The next-generation television company may be in your pocket. Snapchat, once pegged by the public as a social-messaging app and recently self-declared camera-based platform, is actually starting to look more and more like TV for young viewers who prefer smartphones over flat screens, industry players say. Last week, Snapchat's Discover section—already chock-full of content channels from the NFL, MTV, Food Network and others—added Bleacher Report to the U.S. version of its app, while striking a larger deal with the sports publisher's parent, Turner Broadcasting. The two partners will collaborate on original-scripted and reality-based video programming from Turner properties such as TBS, Adult Swim and truTV. What's more, Snapchat today will reveal that Discover is also adding Mitú, a popular English-language content platform focused on Hispanic-American youth culture. "You will see videos [on Discover] that are freestanding as well as ones that belong to an episodic series," explained Mike Su, chief product officer at Mitú, which averages 160 million viewers a month. "It is definitely going to be video-heavy." That should fit in well on Snapchat, which gets 10 billion-plus daily video views and has been transforming into a TV disrupter. 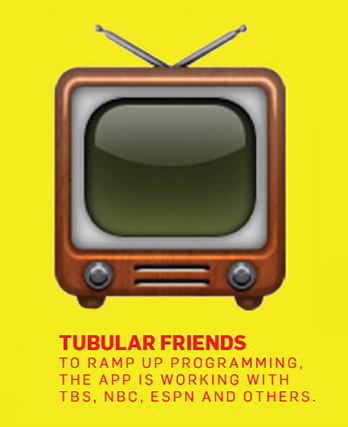 During summer, the company inked deals with NBC, ESPN and CNN to create shows for the app. And in late October, parent company Snap Inc. posted a job listing for an in-house development manager of original shows. 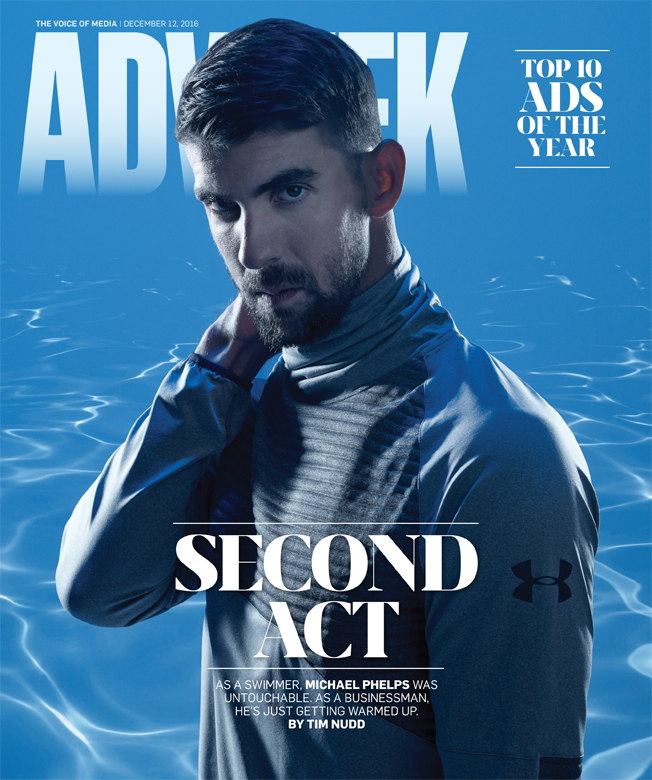 "Snapchat is a brilliant, mobile-age Comcast or Time Warner in terms of being an always-on content delivery platform," remarked Scott Symonds, AKQA's managing director of media. "The nonsocial content is very traditional media content." Indeed, Snapchat's largely Gen Z and millennial users, which total 150 million daily, are not only drawn to Discover content but even more so to their personal channels, where—via wacky filters and other digital overlays—they and their friends are the stars. "Snapchat is everyone's personal reality TV show," said Zach Glass, vp of digital advertising at RED Interactive Agency. Ken Kraemer, CEO of Moment Studio, added, "You've got different content voices from different companies in Discover and you've got live stories from events and people you care about, all interspersed with ads." Snapchat's 2017 revenue, per eMarketer, will skyrocket 155 percent year over year to $935.5 million thanks to the recent implementation of its Snapchat Partners ads API. The addition of Mitú, which has ad clients such as Captain Morgan, Chevy and Boost Mobile, can only help make Discover ads attractive to Latino-minded marketers. "If we are looking for somebody to reach somebody under the age of 35, I am not expecting [linear] TV to do much," commented Brandon Rhoten, vp, head of advertising, media and digital marketing at Wendy's. 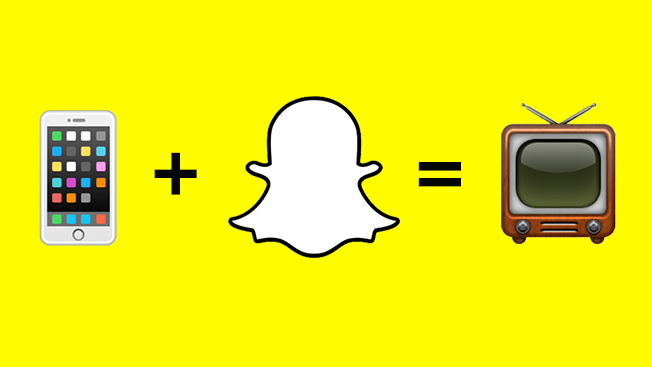 "Cable TV and Snapchat aren't the same. But it doesn't mean I wouldn't swap one for the other—I have. I have taken TV dollars and put them into Snapchat." Snapchat recently was dinged by a report that viewers had significantly dropped for a few Discover partners following the section's redesign earlier this fall. The company counters that the median number of daily Snapchat Discover users is up almost double digits since the changes were made. Either way, advertisers don't care whether they hit the app's young demo on Discover or in users' personal streams, Kraemer noted. "Snapchat's approach is doing a great job of monetizing both user- and publisher-created content, and they're making no secret about that," the Moment Studio chief said. 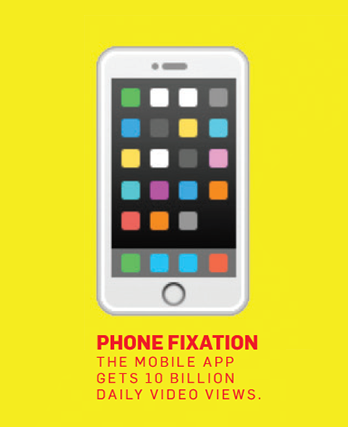 "They're signaling clearly to the market that that is how you play on Snapchat as an advertiser." 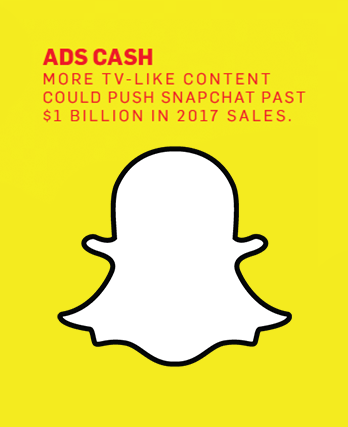 Meanwhile, there are additional challenges afoot for Snapchat competing more heavily for television budgets, given that Facebook, YouTube, Twitter and other tech notables have similar aims. "The interesting question to me is whether Snapchat can host what I like to call destination content—content so compelling that new users want to use the app to experience it," said Noah Mallin, head of social at MEC USA. "That's certainly their ambition, and in that sense, they become a competitor to any other sources of content from YouTube to Amazon to Netflix to Twitter." It's clearly something the messaging app is taking seriously. Snapchat's vp of content Nick Bell acknowledged as much, noting his team "will continue to work with media partners to develop more shows for Snapchat."